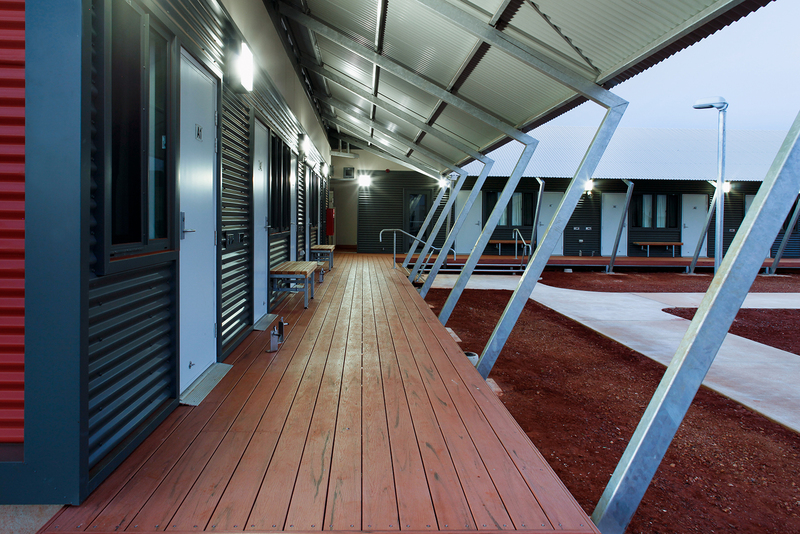 A new correctional facility accommodates 30 prisoners located adjacent to Roebourne Regional Prison and includes 3 new prisoner accommodation units and 5 facility buildings. 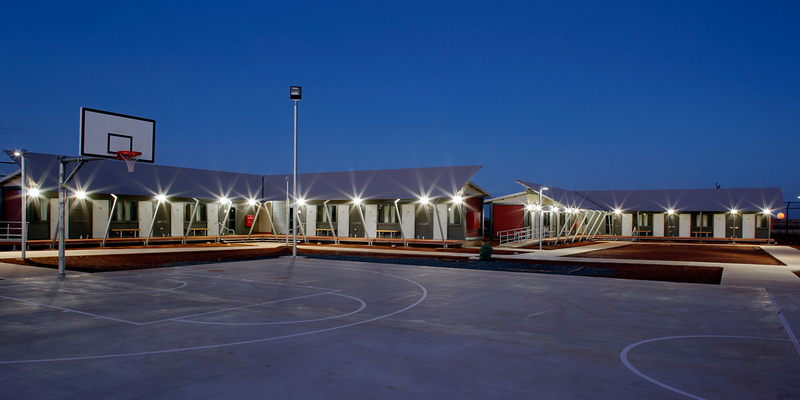 The fenced work camp incorporates a series of single storey, steel framed buildings with adjoining timber framed verandas sited around a concrete basketball court. The majority of the buildings are constructed on structural steel stub columns and concrete footings with extensive use of flat packed transportable panels or composite transportable units utilised for the building fabric.